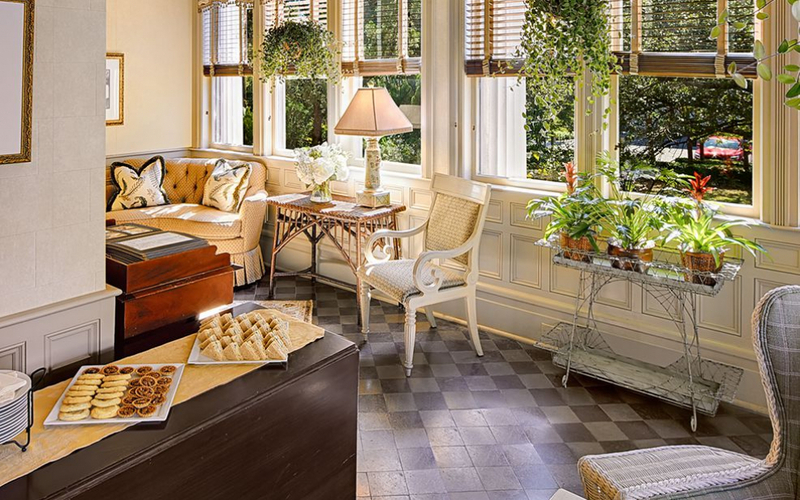 A 21-room tribute to Charleston’s gilded age, the historic Wentworth Mansion exudes the glamour and grandeur of the Holy City. Italian crystal chandeliers, hand-carved marble fireplaces, and Tiffany stained glass create a setting of gracious hospitality, further enhanced by luxurious amenities and thoughtful guest experiences - all just a short stroll from King Street’s world-class dining and shopping. Francis Silas Rodgers, a wealthy cotton factor, phosphate manufacturer and coastwise shipper marries Marie Elizabeth Evans Cochran and together they raise 13 children. Designed in the Second Empire style by architect Daniel G. Waynes, they build an expansive and ornate home at 149 Wentworth Street. Members of the Rodgers’ family sell the home to the Scottish Rite Cathedral Association for $100,000. The Scottish Rite Masons keep the home until 1940, when it is sold to The Atlantic Coast Insurance Company. It serves as the company headquarters until 1996. Proprietor Richard Widman purchases The Wentworth Mansion and begins an extensive $7 million renovation that preserves the home’s magnificent architectural features, including the inlaid floors, original staircase, and Tiffany glass, while adding modern conveniences and luxurious bathrooms in order to transform the mansion into a one-of-a-kind historic hotel experience. 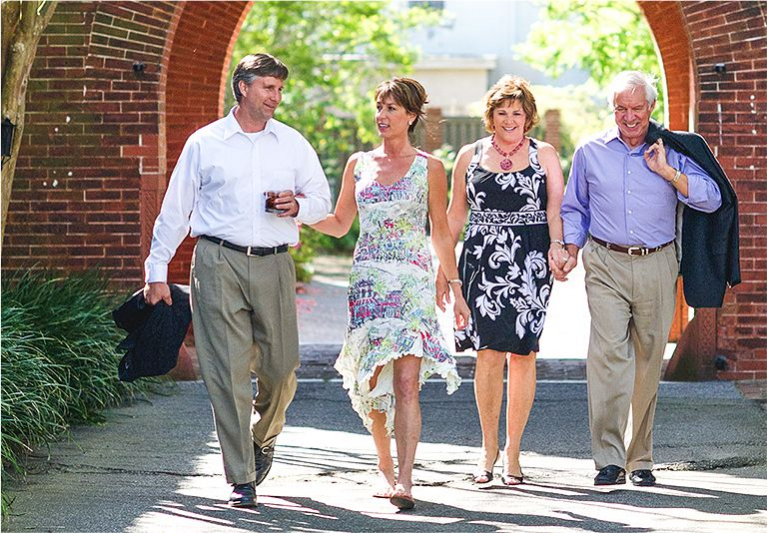 As a family-owned historic hotel, it's no surprise that we love catering to families - and so does Charleston. From relaxing together on our grounds and exploring history at Patriots Point to hitting the sand and surf at a nearby beach, you'll find thrills for every member of the family. Is it our whirlpool tubs, the rooftop cupola, the couples massage? Whatever you choose, we’ve earned a place in the hearts of romantics across the globe. 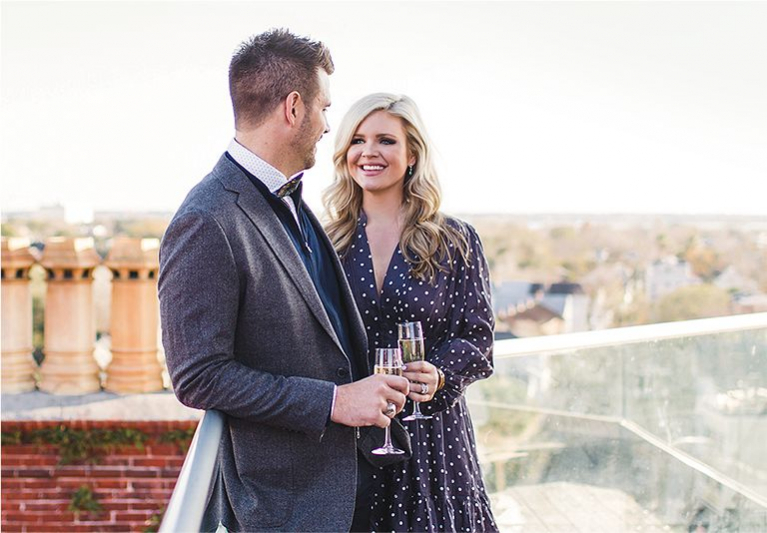 Whether you're planning a romantic Charleston getaway or a truly unique and luxurious honeymoon, The Wentworth Mansion will make an indelible mark on your heart. 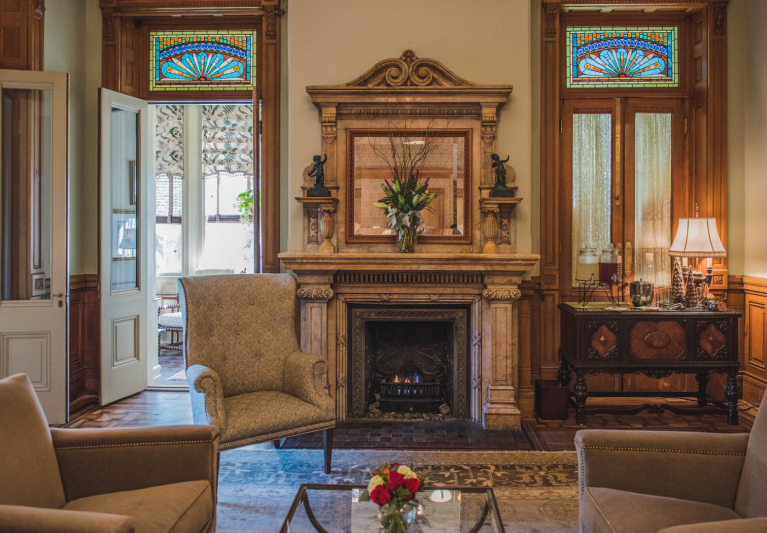 A beautiful, integral part of Charleston's rich, enduring historic legacy, The Wentworth Mansion is a must-see for history buffs. Stroll the neighboring cobblestone streets, revel in the beautiful works of local artists in the city's museums, explore Charleston's secret alleyways, a become part of a city where history truly lives.